The village of Cielito, where Nelson Ramirez's 15 hectare farm is situated, cascades along the mountain range in Santa Barbara in Honduras. Grown on this hillside is mostly Pacas, a coffee species akin to Bourbon, as well as Yellow Catuaí and Pacamara. It is challenging to process coffee cherries in areas like these, which are close to the jungle and thus, to rain. The drying process, in particular, is especially demanding. But when these processes are precisely controlled, seemingly problematic factors (like drying under challenging conditions) are what make coffee from this area particularly interesting. The coffee produced here cups with flavour attributes not found anywhere else in Central America. Since 2005, the region of Santa Barbara and the small producers living and working there have shared the distinction as the place and the people producing exceptional coffee within Honduras. Our work and the beginning of the on-going relationships we’ve since established here began during the 2005 Cup of Excellence. We came to realize that there are exceptional producers from this small area. And since that inaugural year, we have purchased from over twenty different Santa Barbara producers. There exists an eagerness here; a willingness, motivation and ambition to produce the best coffee in the country. In order to build relationships – that allow both parties to have a common understanding of quality coffee – there must be frequent and long-term presence. Located in the village of Pena Blanca is coffee exporter San Vicente – the company that coordinates the coffee we buy from Santa Barbara. 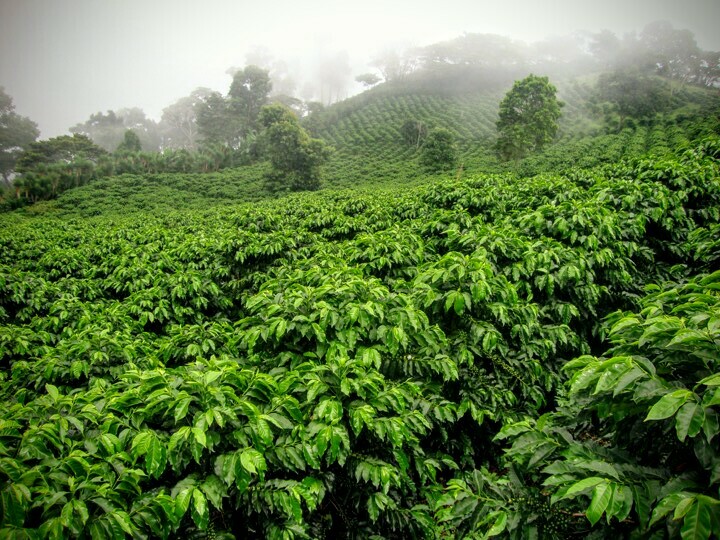 Over the past several years, one particular hillside has become the largest supplier of CoE winners in Honduras. The most successful farms with the smartest and most innovative farmers are neighbours on the hillsides of this region and they help each other to refine the best of their lots.